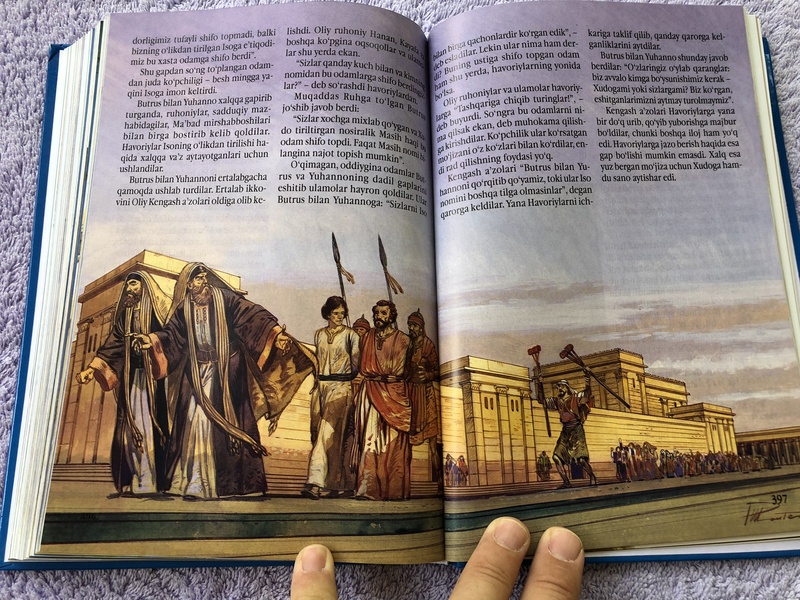 With all the great Bible stories based on real Bible text and rewritten for an audience of young listeners. 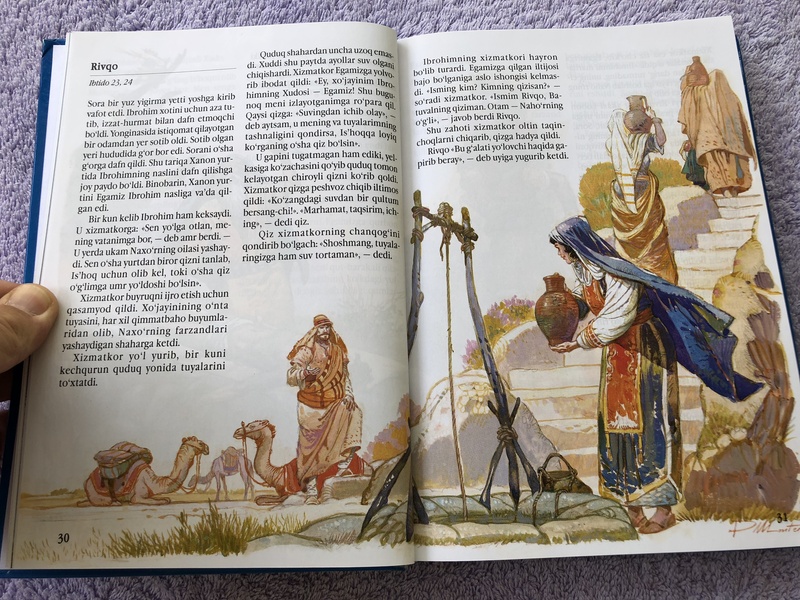 The Children’s Bible will give your child the best possible introduction to the world and message of the Bible. 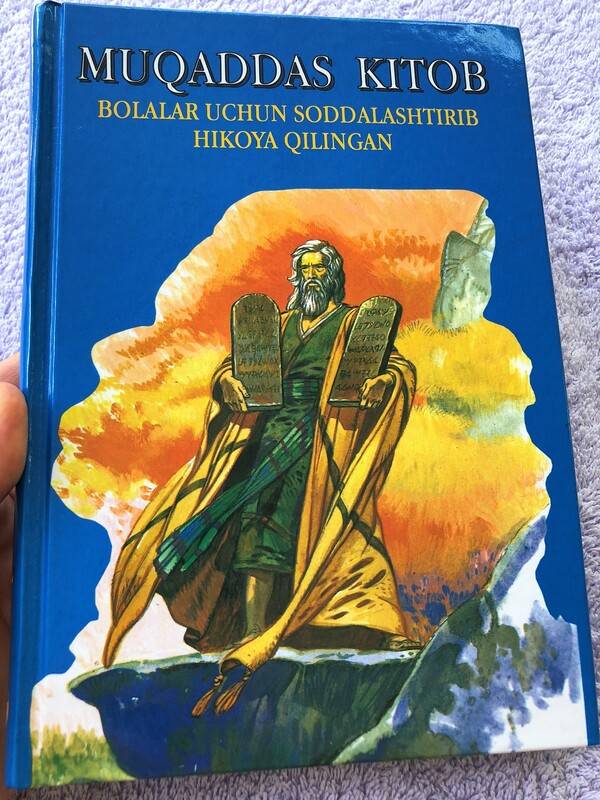 Since published in 1991, this title has sold more than 6 million copies in 93 languages – making it one of the most sold children’s Bibles in the World. The award-winning illustrator José Pérez Montero is very thorough in his research. 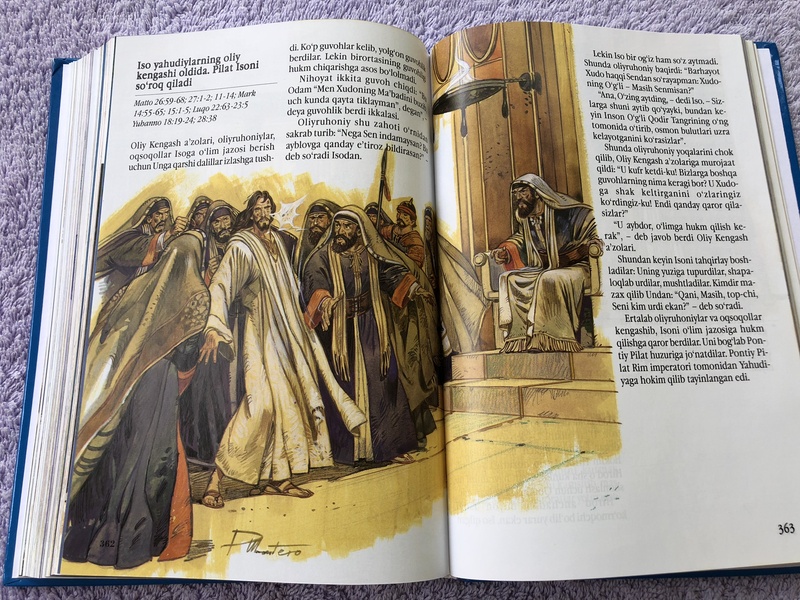 His accurate ans skillful artwork in The Children’s Bible has been well-received and all-round accepted. 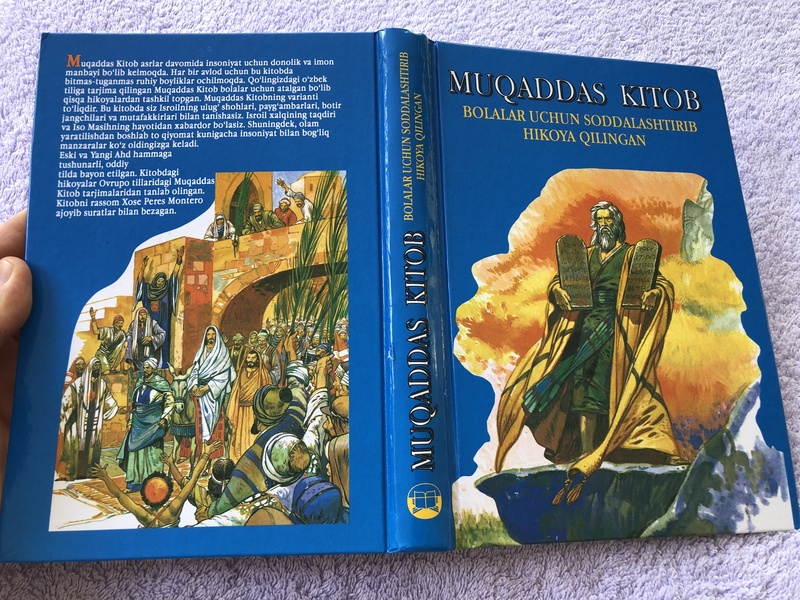 Click the button below to add the Uzbek Children's Bible / Muqaddas Kitob / Bolalar Uchun Soddalashtirib Hikoya Qilingan to your wish list.